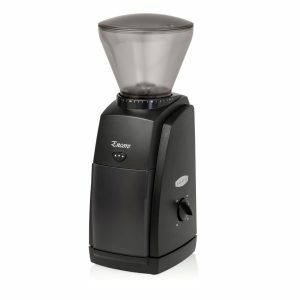 Baratza Encore Burr Coffee Grinder If you’re ready to invest some more serious money into your coffee life, the Baratza line of home grinders is a wise choice. Entry level is $140, ranging all the way up to $1000, offering over half a dozen models with various features available. Unlike many home grinder manufacturers, they offer a lot more customer support, from parts and maintenance to online tutorials for do-it-yourself-ers. If you are on a budget but want to make a long-term investment, my recommendation is to part with a little more money and get the more solidly built Virtuoso. With care and maintenance, it could last a lifetime. OXO Barista Brain Grinder If you’re interested in the ease of the grind by weight technology craze, the OXO Barista Brain line has produced a very affordable option. 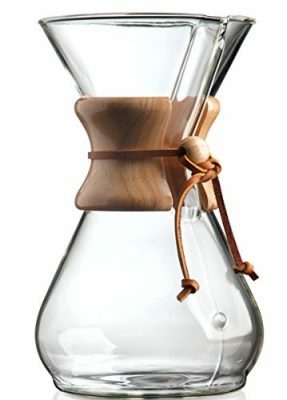 I’ve been using it at home over the last year for my daily Chemex and find that it handles itself pretty well. The particle size definitely has some visible variance compared to the precision of commercial grinders but is competitive with competing brands at a much more palatable price point ($200 v Baratza Sette at $500 and Vario W at $560). 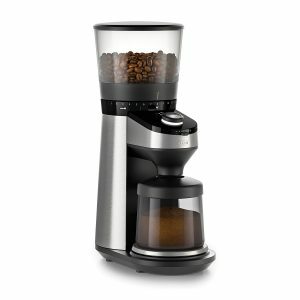 Can grind by weight, “cups” and also has an espresso dosing mode available. 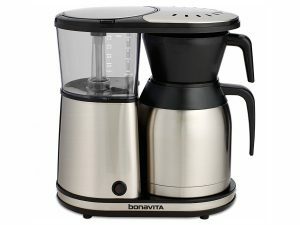 Bonavita 1900TS Automatic Brewer If you want to keep your morning coffee easy, the BV 1900TS has proven to be a reliable & durable option for your home batch brewing. We have used it for all of our reviews over the last couple of years and it has performed without a hitch! 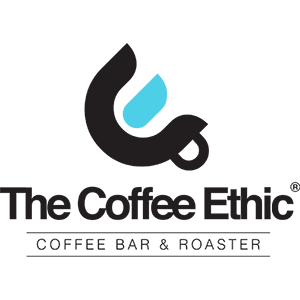 For our official Roast Ratings brew ratio, we use 55 grams of coffee to 1 liter of water. Chemex Brewer If you’re like me and want a brewer that can give you a couple cups worth of coffee at once, the Chemex brewer is up to the task. Easy to use, easy to clean & an artful addition to the kitchen counter landscape. Filters available in 100ct boxes- not available everywhere so plan ahead. 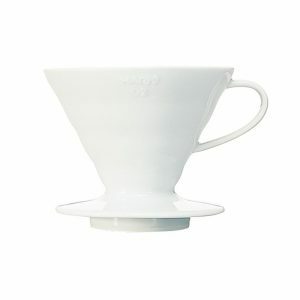 Hario V60 If you’re a coffee hobbyist that wants to better understand their influence on the brewing process, the V60 is one of the more professional-level pour overs out there. Not for the lazy brewer, it requires practice, skill and attention to achieve delicious, consistent results. 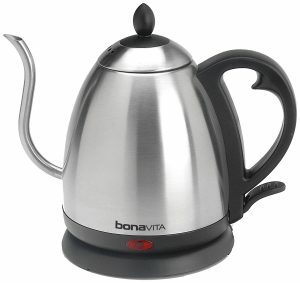 Bonavita Gooseneck Kettles There are many gooseneck kettles out there, many of which will serve their primary function of directional control while pouring, regardless of the material used. This one change in your home brewing routine will revolutionize the taste of your results. The Bonavita line offers 3 tiers of options- stovetop for $30. basic electric for $45 & the “Variable Temp” for $70, which allows the user control over the exact temperature desired (also good for that tea nerd in your life). 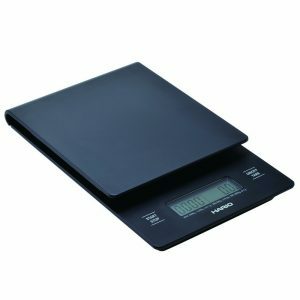 Hario Scale & Timer If the consistency of your daily cup is a big deal to you, or you like to use your coffee stash sparingly, a scale is a lifesaver. 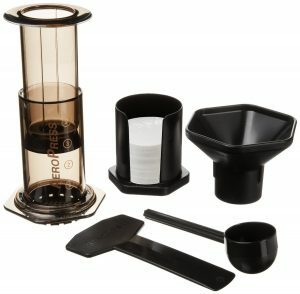 The Hario runs on AAA batteries- easy to replace- and includes a timer for those interested in tracking their water contact time throughout the brew. Airscape Container What do you get for the coffee nerd that seems to have everything? An upgrade to their coffee storage system. 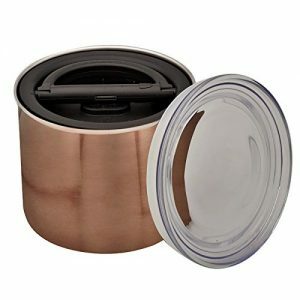 The airscape container’s design uses pressure valves to remove nearly all air contact from its cannisters, keeping your fancy pants beans fresher for a bit longer than the alternatives. 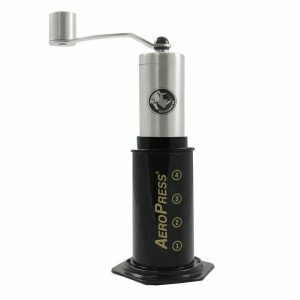 Rhinoware Compact Hand Grinder Solidly built and very portable dimensions (fits inside the Aeropress syringe tube). One of the more efficient, ergonomic and consistent hand mills on the market. This one is on MY Christmas list! 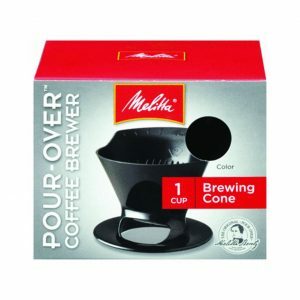 Melitta- Ready, Set, Joe set Unbreakable and user-friendly design, makes a consistent and tasty brew and can just be tossed in a suitcase. Bonus- replacing filters is a breeze- grocery stores, drug stores etc all carry them. I’ve been bringing this one along on my adventures for the last few years- love it! 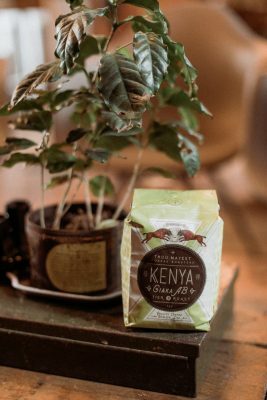 Thou Mayest’s Kenya Giaka AB is a beautiful representation of a classic coffee. Notes of peach, apricot and baking spices elegantly weave together to produce a coffee that we would be proud to put on our breakfast table. Check out our full review. Their Caffe Amaro Barrel Conditioned Coffee is the perfect gift for the coffee lover who has everything. It is a truly innovative coffee. They took their El Salvador Finca Calera (unroasted) and aged it inside of a barrel that was used to make J Rieger’s Caffe Amaro (which used their coffee). They also added orange peel, cardamom, and star anise to the barrel to accentuate the spices in the spirit. Kenya Gicherori is another beautiful Kenyan from a celebrated roaster in Philadelphia. After brewing it up for our review, people flocked to us for an opportunity to get a cup. In the cup, notes of tropical fruit and peaches jump out and are complemented by a slight note of refined leather. Elixr’s Guatemala El Injerto offering is a unique varietal (Maragogype) that pairs sweet lime notes with a dark sweetness that is reminiscent of root beer. A washed Ethiopian Yirgacheffe, this coffee from Blueprint has a deep, creamy berry and sweet chocolate aroma. This intense aroma is followed up by notes of sweet raspberry, lemon and cascara that pair perfectly with honey & light caramel notes. 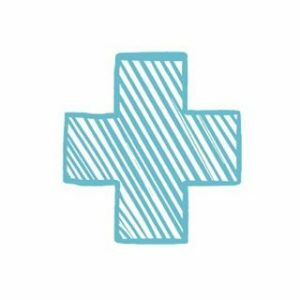 Check out our full review! A natural Ethiopian with highlights of lavender, sweet apple, and stonefruit. It anchors these high notes with a touch of earth and dark chocolate. If you want to get your hands on this coffee, you will have to go to Springfield, MO, but it is well worth the trip! Check out our full review! The lasting impression from this coffee is warm apple pie! It has everything that we love about warm apple pie- toasty, caramel & maple notes dance with juicy apple and cinnamon. The finish leaves us with some soft tannic tones and molasses. 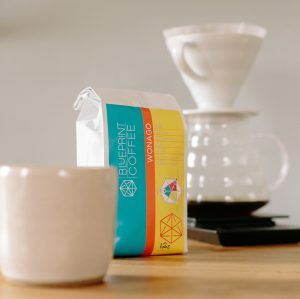 This will be a great coffee for anyone who loves a sweet cup but avoids the juicy fruit and berry notes of classic Kenyan and Ethiopian coffees. Check out our full review.